In short, the answer is yes! 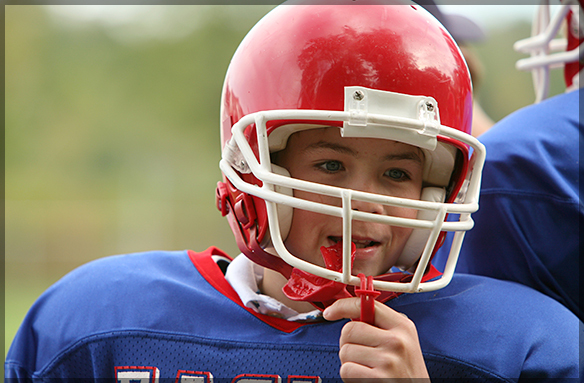 Even if your or your child’s sport does not require a mouth guard, it is still a good idea to be wearing one. Consider a mouth guard to be an important piece of your sporting equipment, just like a helmet, or even a jersey. You wouldn’t go out to play without wearing your team colours, just as you shouldn’t go out without protecting your teeth. Statistics show that by wearing a mouth guard, more than 200,000 injuries that could occur to the mouth and jaw are prevented. A mouth guard has more uses than just guarding your teeth against dental injuries such as cracked, chipped or broken teeth, nerve and root damage, or missing teeth. It provides a cushion against your upper and lower teeth hitting each other. It helps lessen damage to the joints in the jaw upon being struck, and can stop the jaw from breaking by absorbing some of the shock from impact. It also stops the accidental biting of your tongue and cheeks, and can even prevent concussions. While you may not think what you do requires a mouth guard, it likely does! Sports dental injuries are very common. You might not be playing full contact sports like football, but an accidental hand or elbow while taking a shot in basketball can cause damage just the same. Your child plays baseball and not soccer, but the possibility of being struck in the face by a ball going off it’s intended path remains. Even something as simple as a fall from a bicycle has the potential to damage your teeth. Regardless of what your family is involved in, protecting your mouth is important. Mouth guards are great for protecting your mouth, but they can also grow bacteria. They’re often put in sports bags with the rest of the gear and forgotten about, allowing the bacteria to grow until the next time they are put into the wearer’s mouth. To properly care for your mouth guard, there are some steps you should follow. When you’re looking to buy your mouth guard, there are three different types available. The store-bought mouth guard is the generic type you can find at an athletic or sports store. It has no real design to it as far as being shaped to your teeth. You keep it in your mouth by biting down on it. It tends to be bulky, impairs speech, and can pose difficulty when trying to breathe through the mouth due to it’s size. This type tends to offer the least amount of protection. This kind of mouth guard requires being heated in water to soften the material, and then placed in the mouth and bitten down on to form it around the teeth. It often comes in many colours so you can customize it to your preference, and provides more protection than a store-bought mouth guard. A dentist or laboratory makes the custom mouth guard. It is custom shaped to your teeth using a mold taken by your dentist. This ensures the maximum comfort and safety. It doesn’t impair breathing or speech, and can be altered to provide more protection in certain areas if the sport you partake in requires it. This kind of mouth guard can also be adapted for people with braces or other orthodontic appliances. While the most expensive variety, it is the kind most often selected by athletes as it provides the most protection. 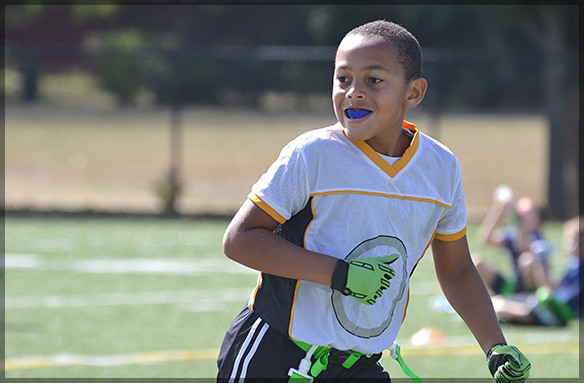 On average, a mouth guard should last you a full season. If you are using the same guard for multiple sports, you may need to replace it more often. Always be sure to check your guard for damage, and note if it’s becoming uncomfortable as that could indicate a warp in the guard or a change in the shape of your teeth. If you would like to discuss the option of getting a custom mouth guard, or have any questions about our other services, contact Family Dental Care or call us at 613-736-5000. We look forward to getting you back out with your team!